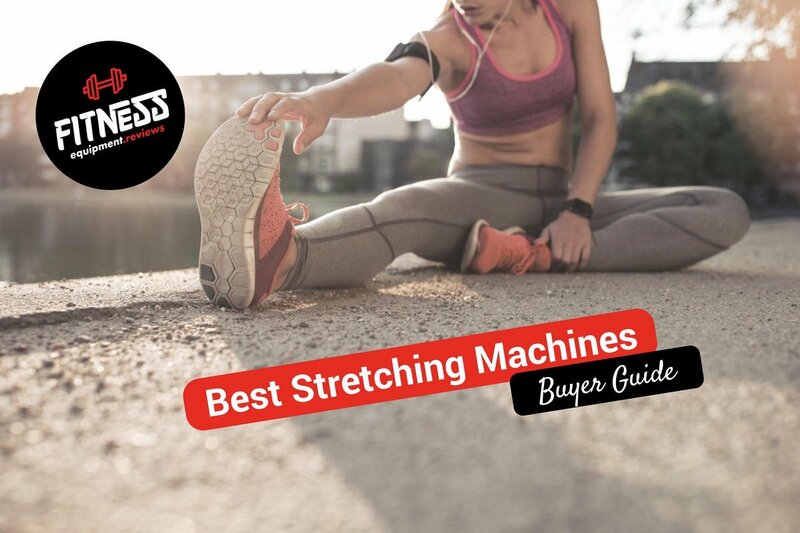 Best Stretching Machines 2019 - Comprehensive Reviews Included! To anyone suffering muscular, skeletal and even emotional pain the benefits of stretching are enormous! There are also many different machines and equipment one can use to maximize their stretch sessions and get the most out of it. The following post will highlight the best stretching machines as well as key features to consider. You may also be considering using an Inversion Table too. There are really two options when it comes to stretching machines. One for a whole body stretch and another for specifically leg stretching. 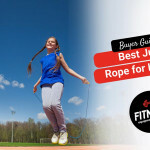 These machines are used by a variety of people across a variety of sports including martial arts, gymnastics and everyday people looking for a good stretch. Please consult with your doctor before commencing a new workout or stretching program and follow words of advice on the machines. It is highly recommended to be throughly warm before using. The Nitrofit Limber Pro Stretch Machine is an all rounder that gives the body a complete stretch. This is one of the most popular stretch machines on the market and has many great features to back this up. The Nitrofit Limber Pro Stretch Machine gives the user the ability to stretch the whole body. The seat adjusts to seven different levels making it possible for the whole family to use. There are also 3 calf stretch angles which can be completed with a removable (included) angled board for standing stretches. The user can stretch their shoulders, upper & lower back, hips, hamstrings, quadriceps and calves. The machine has assembled dimensions of 50.5 x 38.5 x 22.4 inches and a total weight of 56 pounds. It is also easy to move and store thanks to the transportation wheels. Overall the Nitrofit Limber Pro Stretch Machine is one of the best whole body stretch machines on the market in terms of value for money. With many glowing reviews and a 2 year warranty there are many happy customers using this product. 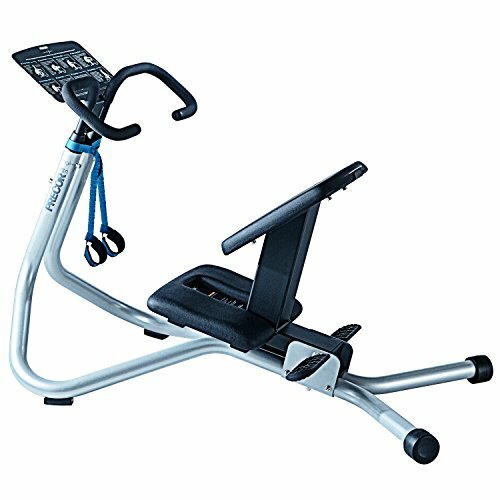 The Precor 240i Commercial Series Stretch Trainer is the type of machine you will see in gyms and used by professionals. If you have the budget then this exceptional machine is well worth it. The Precor 240i Commercial Series Stretch Trainer also comes with an instructional card to show the stretches one can do with the machine. The key muscle groups are the lower back, hamstrings, gluteal/hips, hips/legs/back, inner thighs/groin, upper back, shoulders and quadriceps. Assembled dimensions of 52 x 28 x 36 (L x W x H) inches and a total weight of 60 pounds the footprint of this machine is relatively small. The machine has been designed to stabilize the body and back during stretching. There are also padded handlebars which make it easy to control the intensity of your stretch. The Precor 240i Commercial Series Stretch Trainer is a commercial quality full body stretch machine. With a sturdy design this machine is also built for user comfort and will greatly assist in achieving your stretch goals. 30 minute flexibility for life video and attached flip book illustrates all of the proper techniques and stretches. Patent Pending flex-smart pivot system provides users with a deeper and fuller stretch. Solid steel frame provides stability and a 300 pound user weight, transport wheels for easy storage. Residential warranty 5-year frame, 1 year parts and 90 days upholstery. Commercial warranty 1 year parts and frame, 90 days upholstery. 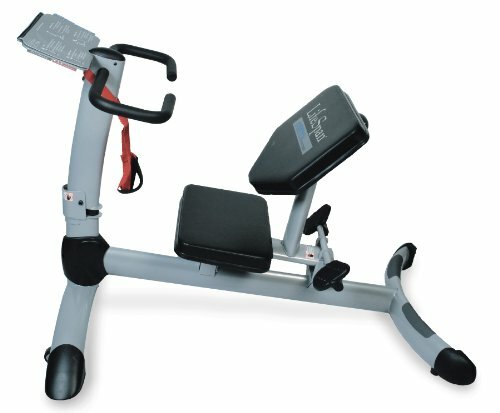 The LifeSpan SP1000 Stretch Partner Stretching Machine is a sturdy, well built full body stretching machine. The LifeSpan SP1000 Stretch Partner Stretching Machine is used by golf PGA and LPGA coaches to increase the range of motion of golfers. It is also used by tennis and baseball players to stretch and strengthen the back as well as improve leg and gluteal muscle flexibility. The footprint of this machine is 49 x 29 x 38-inches (L x W x H) and has a total weight of 55 pounds. Users have the ability to stretch many body parts including (but not limited to) the shoulders, lower back, gluteal muscles, lower leg and achilles, torso and obliques, quadriceps, hamstrings and upper legs. Overall the Nitrofit Limber Pro Stretch Machine allows the user to complete a full body stretch and includes an instructional video as well as book. This shows the proper stretching technique and stretches the user can do. The seat doesn’t adjust so if you are looking for something everyone can use then perhaps this model isn’t ideal. The Pro Leg Stretcher is the best on the market when it comes to a solid, leg stretching machine. 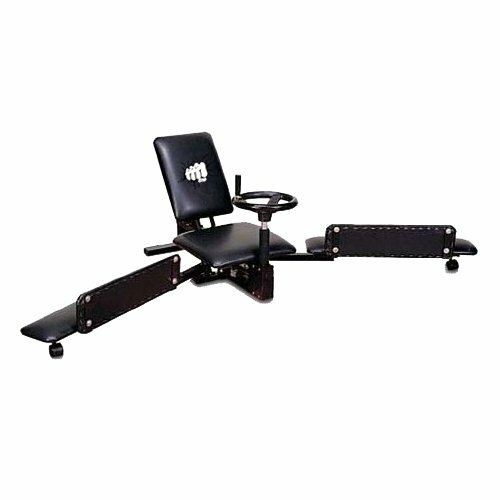 This machine has helped many users achieve goals of doing the splits. The Pro Leg Stretcher uses a gear system which is much more favorable than a cable since due to cables tendencies to snap when under tension. The machine uses a steering wheel which allows the user to increase their stretch gradually until at their maximum. By turning the steering wheel the leg holders widen pushing you deeper into the stretch. Included is a stop latch which can be used once you reach your maximum stretch position as a safety mechanism. Not recommended for use on carpet or rugs although customers have done so. In terms of value for money the Pro Leg Stretcher exceeds the others on the market. It is safe and very easy to use and the user has the ability to control the intensity of the stretch and lock themselves into position. Recommended maximum load 250 lbs. 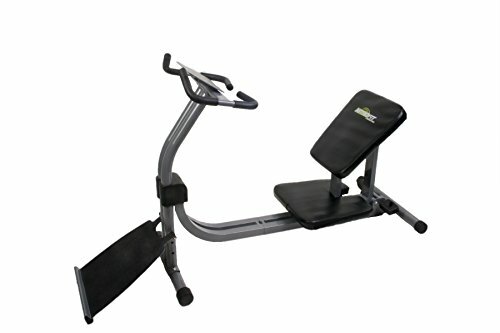 The Valor Fitness CA-27 Leg Stretch Machine is sturdy yet designed to be comfortable and easy to use. Simple and easy to use the Valor Fitness CA-27 Leg Stretch Machine measures 54 x 17 x 9 inches and has a total weight of 49 pounds. If you are looking to improve your leg flexibility then this machine will do just that. The user has the ability to control the stretch distance with the steering wheel. The gear mechanism makes it easy to use and is smooth and controlled. Overall the Valor Fitness CA-27 Leg Stretch Machine is a nifty machine that will help you acheive your stretch goals. Incredibly easy to put together and use the only thing this machine lacks is that you can’t see how far you stretch. There are many stretch machines on the market and it can be hard to know which is best. in terms of a full body stretch the commercial quality Precor 240i Commercial Series Stretch Trainer is highly recommended. If you budget doesn’t allow for that then the Nitrofit Limber Pro Stretch Machine is highly recommended. 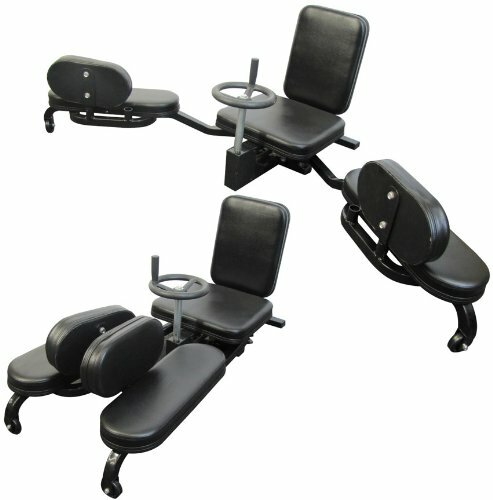 For a specific leg stretch or split stretch machine the Pro Leg Stretcher is a good choice. For anyone suffering muscular, skeletal and even emotional pain stretching could be the release your body and mind needs. There are stretching machines that can help with the process and those included in this review are all highly rated.